TWO McLaren employees have been killed in a car crash outside the supercar manufacturer’s headquarters. Ollie Bourton, 22, and Darren Hayes, 19, died instantly when the Subaru Impreza they were in hit a transit van on the A320 just after midday. The driver of the Ford Transit, a man in his 60s, was taken to St George’s Hospital with serious injuries. 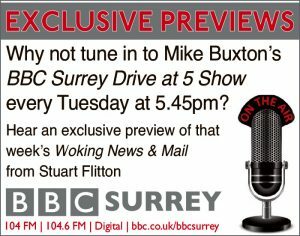 The road between the McLaren and Otter roundabouts was closed for most of the afternoon while emergency services attended the scene. 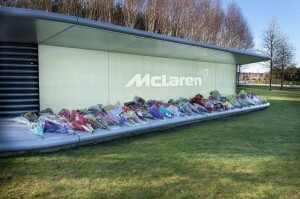 Colleagues and friends have adorned the McLaren sign at the entrance to the site with both written and floral tributes. Investigations are ongoing. Officers are now appealing for witnesses. 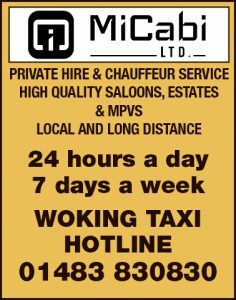 Anyone who may have seen the incident or the events surrounding are urged to contact Surrey Police as a matter of urgency on 101 quoting reference P14027978.